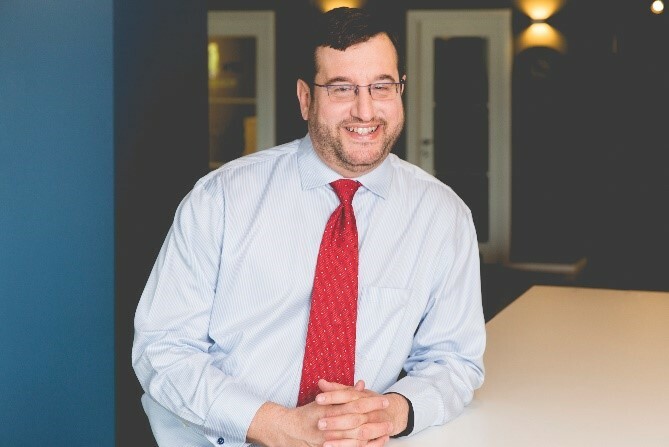 Chairman, CEO and Co-Founder of NeuroRx, Inc.
Family Office Insights sits down with Jonathan Javitt to discuss NeuroRx, a platform biotech company focused on breakthrough treatments for suicidal depression and PTSD, now entering phase 3 studies under leadership of Harvard/ Mass General Hospital. Tell us about your background and your company, NeuroRx, Inc. I am a physician by trade with a background in public health and health policy. With a 30-year history of combining clinical understanding with expertise in medical device and drug development, health information technology, and health economics, My brother Daniel Javitt, a Professor of Psychiatry, and I founded NeuroRx and I am its CEO. NeuroRx is a platform biotech company focused on breakthrough treatments for suicidal depression and posttraumatic stress disorder. Prior to NeuroRx, I served as Senior Health Advisor to three Presidential Administrations and founded 5 successful information technology and biotechnology companies. Upon receiving my A.B. with honors in Biochemistry from Princeton University, I completed my medical training at Cornell, Harvard, the Wills Eye Hospital, and the Wilmer Ophthalmological Institute of Johns Hopkins University. I have been a Professor of Johns Hopkins University for 30 years and a Senior Fellow of the National Security Health Policy Center of the Potomac Institute since 2001. My brother Dan graduated from Princeton with a degree in neurobiology in 1979. He has spent his entire career attempting to understand the chemical basis of psychiatric illness and, along the way published more than 400 scientific works that have been read by more than 20,000 people. In 1987, he was the first to discover the role of the NMDA receptor in psychiatric illness. Initially, he found that Angel Dust (phencyclidine), a drug of abuse that was widely used in the 1980’s induces schizophrenia-like symptoms by blocking the NMDA receptor in the brain. Over time, it became apparent that depression, particularly suicidal depression represents the opposite problem –high levels of NMDA activity cause thoughts to slow down and depressive, destructive thoughts to predominate. Ketamine, an anesthetic similar in its mode of action to phencyclidine, was found entirely by accident to have a profound effect in reducing depression. This finding led Dan to screen other compounds that might reduce NMDA activity in a more controllable manner with less potential for psychosis than ketamine. That’s how Dan rediscovered D-cycloserine, a 70 year old tuberculosis drug and discovered that if one combines it with lurasidone, a drug routinely used to treat bipolar depression, a significant reduction in symptoms of depression and suicidality can be observed without any evidence of hallucinations. Built around the patented technology behind Prof. Daniel Javitt’s findings, our experimental drug NRX-101 has been shown in early stage studies to reduce suicidal ideation by more than 75% and overall symptoms of depression by 50%, we founded NeuroRx Inc. in June of 2015. NeuroRx now has FDA permission to start a pivotal (phase 2b/3) clinical trial with NRX-101 (Cyclurad™), the proprietary formulation of D-cycloserine and lurasidone, that aims to be the first drug to successfully target acute suicidal ideation and behavior in bipolar depression, a first-in-class lifesaving indication. Who are the patients that will benefit most from NeuroRx’s new drug? With thorough analysis of market opportunity, competitors, and survey of physicians and hospitals, it has determined that Cyclurad™ is a drug welcomed by both caregivers and patients. The first patients offered this drug will be those admitted for acute care of suicidal bipolar depression. There are about 150,000 people with this condition every year in the US and 25,000 needless deaths that we hope to prevent. Independent analysis informs us that the US market for this drug indication has a discounted present value of $870 million. Every antidepressant drug on the market comes with a FDA-warning label that it can increase suicidal thoughts; no treatment today is currently labeled as effective for the depressive component. The only current therapy is highly restrictive hospitalization, often combined with electroshock treatment. These treatments are expensive, unpleasant, and destructive to short-term memory and personality. NeuroRx aims to replace the existing treatment and drugs known to cause suicide and expensive hospitalization with a rapid-onset drug therapy. All currently approved antidepressants target the brain’s serotonin axis and are known to be ineffective in up to 50% of patients with depression. The big pharmaceutical companies, Pfizer, Lilly, GSK, Merck, and Roche have all exited the antidepressant drug market because the standard antidepressants have all become generic and they were unsuccessful in developing new drugs for the old Serotonin target. This paves the way for NeuroRx to develop groundbreaking research and drugs around the NMDA target. Although an initial indication in bipolar depression is more likely to generate peak sales of $600 million per year, rather than the billions of dollars associated with the last generation of drugs for major depression, we aim to help the people who have no other treatment option and today find themselves in the hospital and receiving electroshock. Over time, we intend to modify our drug and its dosing to serve the larger market of 3 million Americans with bipolar depression who do not have acute suicidality requiring hospital care. While it can seem counterintuitive at first to address the smaller, more acute market, FDA rewards companies for doing so with programs such as Fast Track, Breakthrough Designation, and Orphan Drug Designation, which we are in the process of entering. molecule drug such as ours. Those are the only 2 companies that have an NMDA-targeted drug for depression in the clinical stage. Other major pharmaceutical companies have all exited the R&D space in psychiatry. Six decades of antidepressant drug research by major pharmaceutical companies have failed to identify a candidate antidepressant that does not cause the side effect of increased risk of suicide. Moreover, no antidepressant advanced by any major pharmaceutical company has ever shown a decrease in suicidal ideation. Therefore, we believe NRX-101, and its successor drugs, offers a both safer and more effective approach. NRX-101 is the only oral therapy currently in FDA phase 2/3 trials for acute suicidal ideation and behavior, a life-threatening unmet medical need and is now entering phase 2 trials for treatment of PTSD. We expect to complete these studies in the second half of 2018. Our combination use of the patent-pending reformulation of two small molecule drugs (D-cycloserine and luraidone) is proprietary, as is our formulation, preparation, dosing and simplified delivery administration, all of which sets us apart from prior uses. We are developing a first in class, life saving drug for an unmet medical need. We are looking for qualified, accredited investors who believe in what we’re doing. We want them to make back 4-5x their money, but we want them to believe in what NeuroRx is doing. While a hedge fund may not care what kind of investment it makes as long as there is a financial return, a Family Office can see firsthand what this disease can do to a family and can take pride in helping to end the suffering and save the lives of millions, while also making a profitable investment. Currently we are in the Preferred-B Round of our raise. We are raising a total of $25 million from now until when the drug is approved. We have the first $5 million already committed from existing investors, so we are looking for a short-term raise of $15 million from 5-10 new investors. The first $50 million of investment into the scientific research came from federal, state, and private grants. The science behind this drug took nearly 30 years to develop. The commercial operation, for which we began raising money from private investors began exactly 2 years ago. In that time frame, with only $5 million of spending, we filed and issued critical patents and filed with the FDA to get our research path approved and to secure Fast-Track approval. We secure supply of our pharmaceutical ingredients and determined how to formulate the drug to FDA standards. We have now finished that process and have a drug that is ready to go into final phase 3 trials. It’s one thing to test a prototype drug in early human studies. It’s very different to meet the tough manufacturing standards of the FDA for a phase 3 drug tha has to potential to be manufactured on a large scale and given to patients on the open market. We have crossed that hurdle and are there now. We also have Massachusetts General Hospital working with Yale University, Columbia University, University of Alabama, and Baylor University as our study sites. Although we haven’t spent all the money we’ve raised so far, we have a lot to show for it. To bring this drug to the people who need it by 2019. We will be working with FDA to secure the earliest possible release of this drug to the people who need it most. We will not refuse those who seek our drug under open access programs, provided FDA allows it. Along the way, we will develop equally effective treatment regimens for major depression and PTSD. In all, we intend to build a company that can address what is currently a $25 billion global market which has no modern drugs and which has never adequately addressed the problem of suicide in depression and PTSD. We are going into the first registration study in August of this year, which is the Phase 3 study of the NRX-101 treatment. This study has already been FDA-approved and manufactured with study sites in place. We hope to have this drug ready for market by 2019. NeuroRx will also continue to sponsor groundbreaking research in psychiatry and neurology. We have other molecules in our pipeline, and we’ve factored about 10% of the funding to go into this. We are working on a pilot study of PTSD in Israel’s biggest military hospital, and if that works, our estimated $600 million drug can easily become a $6 billion drug as there are 13 million people suffering from PTSD in the U.S. The day NRX-101 is approved, I intend to take my first nap in five years. Jonathan C. Javitt, M.D., M.P.H, has a 30-year history of combining clinical understanding with expertise in medical device and drug development, health information technology, health policy, and health economics. He has played leadership roles in seven successful healthcare IT and biopharma startups with public exits. He has additionally led drug-development engagements for Merck, Allergan, Pharmacia, Novartis, and Pfizer. 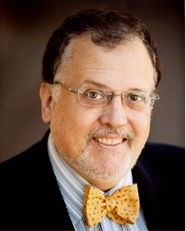 Dr. Javitt was appointed to healthcare leadership roles under Presidents Reagan, George H.W. Bush, Clinton, and George W. Bush. In the latter role he was commissioned to lead the White House policy for universal adoption of Health IT and establishment of the Office of the National Coordinator. He is a graduate of Princeton University, Cornell University Medical College, Harvard School of Public Health, the Wills Eye Hospital, and Johns Hopkins Medical School. Dr. Javitt has published more than 200 scientific works in the areas of health outcomes and pharmacoeconomics that have been cited by more than 19,000 people. Dr. Javitt is an adjunct Professor of the Johns Hopkins School of Medicine and a Senior Fellow of the National Security Health Policy Center of the Potomac Institute. He was granted the 2015 Alumnus of Merit Award by the Harvard School of Public Health. For more information, please reach out to Jonathan via email at jjavitt@neurorxpharma.com.